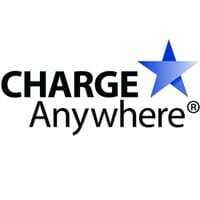 Charge Anywhere has unveiled new mobile payment software which can transform Google’s Nexus S smartphone into an NFC payment terminal. Building on its mobile payment application for Android, the US firm says it intends to expand its portfolio of NFC mobile payment acceptance solutions as additional smartphones are released. “The Charge Anywhere payment platform has always stayed ahead of the payment technology curve and adding NFC payments ensures that our partnering financial institutions, mobile network operators and distributors always have the most competitive advantage in delivering secure payment technology,” said Paul Sabella, the firm’s president and CEO. Charge Anywhere launched its first NFC payments solution in 2009 when the company partnered with Zenius Solutions to enable merchants to accept contactless card payments via a Nokia NFC phone equipped with the ZeniusMobilePOS solution. Any idea when this will be out. I have a Nexus S and would love to try it out.